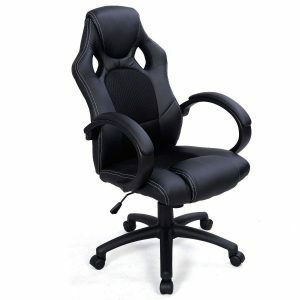 1.1 What To Look For In An Adult Gaming Chair? There is no question that choosing good seating for playing video games is a must these days. With the countless hours that can be spent normally sitting still, comfort and support are necessary for your enjoyment and well-being. 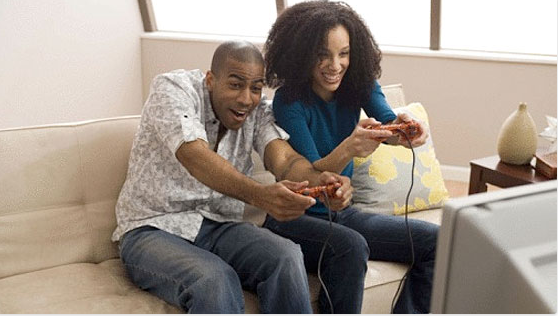 However, some are finding it a challenge to locate and select a quality adult gaming chair. The are plenty of types of gaming chairs to choose from. But in their search, many are discovering that it can be a hard to find a larger size gaming chair, that would better accommodate a taller, heavier, or wider person. Companies like DXRacer and XRocker are leading the industry in producing top quality gaming chairs that are both comfortable and fun to sit in. Both are great options for adults seeking a chair for gaming purposes. There are many other less popular brand name chairs that are comfortable and affordable. Of course much will depend upon on the type of gaming you enjoy and where and how you like to sit. What type of gamer are you? Not in every case, but console game players will generally prefer sitting near the screen with their controller in hand, closer to the floor. Whereas PC gamers are usually situated at a desk, accompanied by their keyboard, mouse, and other gaming accessories. Taking into consideration height adjustment, solid armrests, and seat pan adjustment. 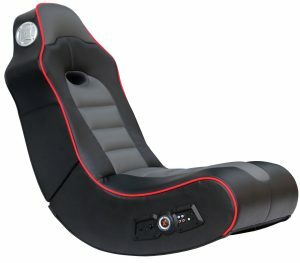 The most common chairs for gaming are regular office computer chairs, video rocker chairs, bean bag chairs, racing/flight simulator cockpits, and the racing seats. We will look at few options in a moment, but first, let’s have a look at what things to be aware of when choosing a gaming chair that is more suitable for an adult or larger person. If all you are looking for is a large and comfortable office chair with a weight capacity of 300, 400, or even 500 pounds, check out our review page on big and tall office chairs. What To Look For In An Adult Gaming Chair? Are you looking for all of the bells and whistles in gaming chair? The good news is that you don’t actually have to break the bank to find one with some really nice features. High-End PC Chairs. But, if you have the money to spend, you’ll find that many of the higher end PC chairs will offer a level of comfort that exceeds cheaper chairs. They possess state of the art features like self-adjusting recline, torsion spring-loaded bearing joints, adjustable headrest, high-quality materials, and 15-year warranties in some cases. These are ideal for adult gaming, as they are already designed with adults working in an office in mind. Not to mention ultra-comfortable and extremely adjustable ergonomic factors. Price ranges from $500-$1500 for these types of chairs. Midrange priced chairs for an adult, will run you between $300-$900 depending on the brand and model. 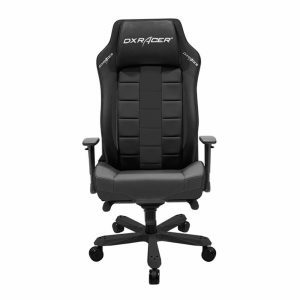 DXRacer, in particular, has a system of identifying the right fit chair based on your height, weight, and BMI. Each size category is divided into Series Types based on their ranges of dimensions and weight capacity. Less expensive chairs are great for those on a budget and who just need something better than their bed, the couch or the floor to play on. There is a fantastic selection of office chairs, rocking chairs, pedestal, and racing seats available. Some of these cheaper gaming chairs are under $100. Dimensions. When reviewing the product description, note how wide the chair is and how high or low it can be adjusted from the floor. Weight Capacity. If you happen to be a larger person, you want to find a chair that will not only sustain your weight but will not crush the cushioning and will remain easy to move around. Also, you want to think about the overall stress placed on the chair. Materials. The comfort, construction, and lifespan of a chair have a lot to do with what it’s made of. A solid wheelbase, durable and breathable fabric, gas lift, and mechanism all play important factors in the value of the chair. Ergonomic Value. Adults can especially appreciate a comfortable chair to relax in while encouraging good circulation and lowering the risk of back strain. Check to see the type of cushioning, lumbar support, and whether it comes with a high back (for computer desk chairs). Functions. Things like height adjustment and swivel are fairly standard with office chairs. You want to look for things like tilt function, fully adjustable/removable armrests, and seat pan modification for maximum comfort. Style. Your taste and decor of your gaming area will also likely dictate the kind of chair you will choose. Some prefer a basic chair with basic functions. Others go for things like built-in surround sound, vibration motors, AFM technology, and matching colors. To help with your search in finding the ultimate adult gaming chair, we have provided a brief overview of 6 chairs that you may want to check out. This happens to be a great option for a larger adult. The weight capacity for this game chair is up to 275 pounds or 125 kilograms. The dimensions are 36.81″ L x 20.89″ W x 32.28″ H.
Compare your own bodily measurements with the dimensions of the chair. This can give you a somewhat accurate idea whether you will fit in the chair comfortably (Allow for a little wiggle room). For adults who live own their own in a small apartment or dorm, this is a very attractive chair. Simply because of how it folds up to be easily stored away in a small closet or storage area. Helping to efficiently conserve limited space, while keeping your space clean and clutter free. The racing design with black and red mix and seat ported headrest, give this chair a style all of its own. Follow the link for a better description and review of the X Rocker 5172601 Surge Bluetooth 2.1 Sound Gaming Chair. Here is another great gaming chair for “adult sized kids” who weigh up to 300 pounds. If you are looking for something very solid and durable, the Vertagear SL2000 has you covered. These chairs do come with a bit more cost, but the value allows you to justify buying one. Intended to offer a wide range of adjustability. This will give gamers the greatest comfort and support in any imaginable gaming position they find themselves in for a while. Only the highest quality materials and attention to detail were used in making this chair. If you would like to know more. 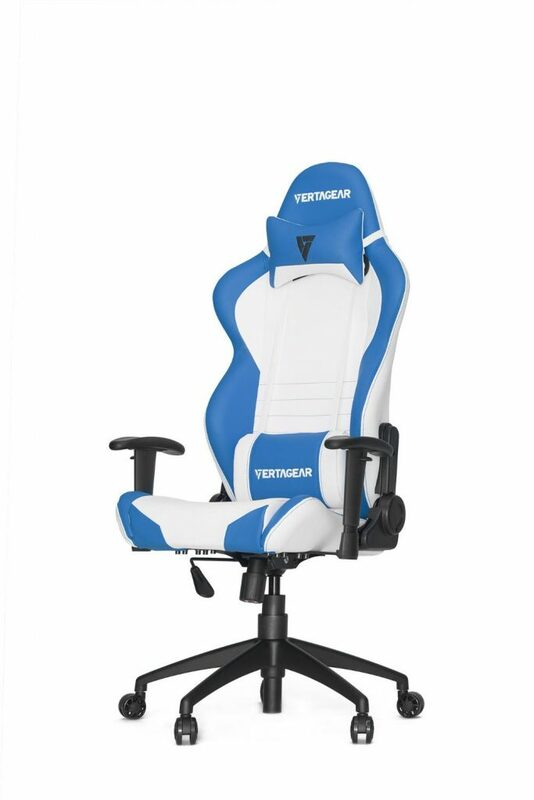 Click the link provided for info more on the Vertagear Racing Series S-Line SL2000 Racing Gaming Chair. This chair is a nice blend between your common office chair and a racing car chair. This hybrid has all the goodies and higher functions included in the higher level DX Racer chairs. If you’re in search of a wider seat made of breathable material to give you plenty of room while keeping you cool. It also comes with a higher backrest, flexible seat back, and 3D armrests. With up to a 300-pound weight capacity and maximum user height of 6’3″, it will have no trouble taking the load of a bigger adult who plans on spending long periods of time sitting at their desk gaming. 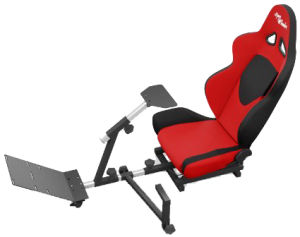 The style of this specific chair allows you to fashion it as a professional looking but casual adult gaming chair with all the extras of what DX racing chairs have to offer. Learn more about the DX Racer Classic Series Professional Chair by clicking the link. Are you a larger adult? Are you looking for a low-cost racing office chair? You get the best of both worlds with this XL size budget friendly gaming chair. With its over 500-pound load capacity and 20 X 20-inch wide seat, makes this the ideal chair of its kind. Many of the features that are standard with the racing style seating like a high back for full support. You can pick from six colors to suit your taste and the decor of your room. The height can be adjusted from 18.11″ To 21.25″ allowing for plenty of flexibility of find the ideal height settings. For more info, please feel free to read our short review of the Giantex gaming chair here. One of the advantages of being an adult can be the luxury to afford a more comfortable chair for gaming. If what you are looking for is a computer office chair for gaming purposes, this chair can deliver. When you lean back in this chair, you immediately feel the difference. With its amazing ability to self-recline, your back is always supported in the chair. Regardless of your sitting position. This is one of the most popular ergonomic chairs on the market today. 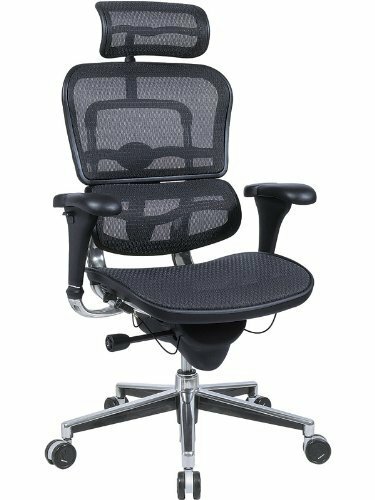 Providing constant lumbar support in addition to user-friendly features, allowing for simple adjustments and ease of movement. Read more about the review and specifications of the Ergohuman High Back Swivel Chair follow the link provided. Are you more of a flight simulator or racing car gamer who would like to have a proper set up for your steering wheel, pedals, throttles, and other peripherals? Open Wheelers are designed to meet and exceed the requirements for adult gaming. Also included is the adjustable racing seat itself with great lumbar support and high back. They are easily adaptable to common steering wheels including Logitech, Fanatech, or Thrustmaster. For a few more details on the Open Wheeler Racing Cockpit gaming chair, click the link. We have examined a few game chairs that are better tailored for adults due to their dimensions, size, and weight requirements. By now you should be better acquainted with what to look for before buying a gaming chair. Not to mention how much to expect to pay for a chair more suitable to adults of different sizes. Feel free to browse around at the many other gaming chair review pages that are available. Continue your search by considering an inexpensive gaming chair for under $100.